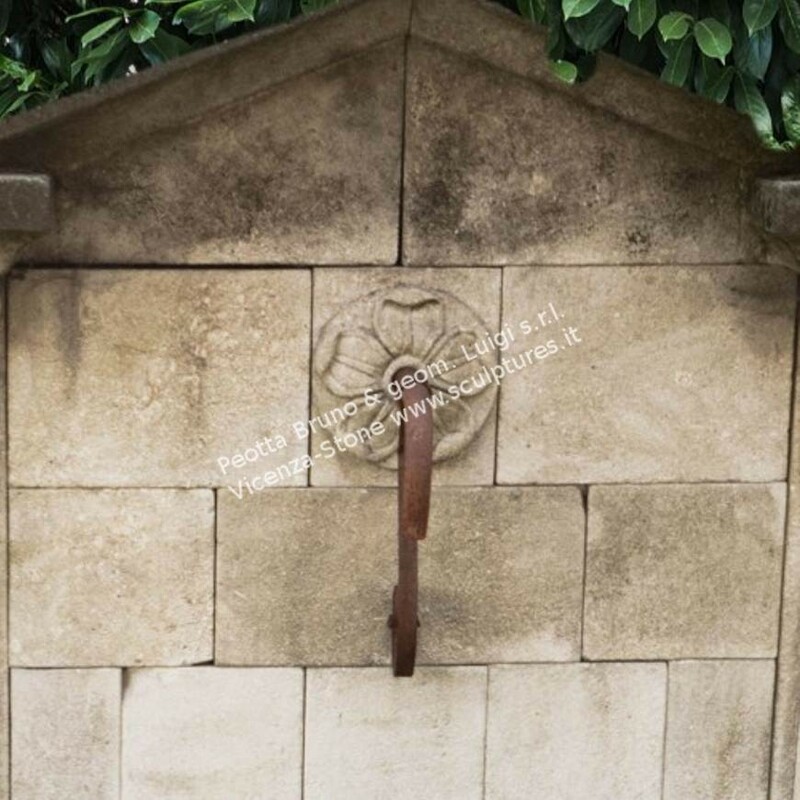 Elegant wall fountain sculpted by hand. 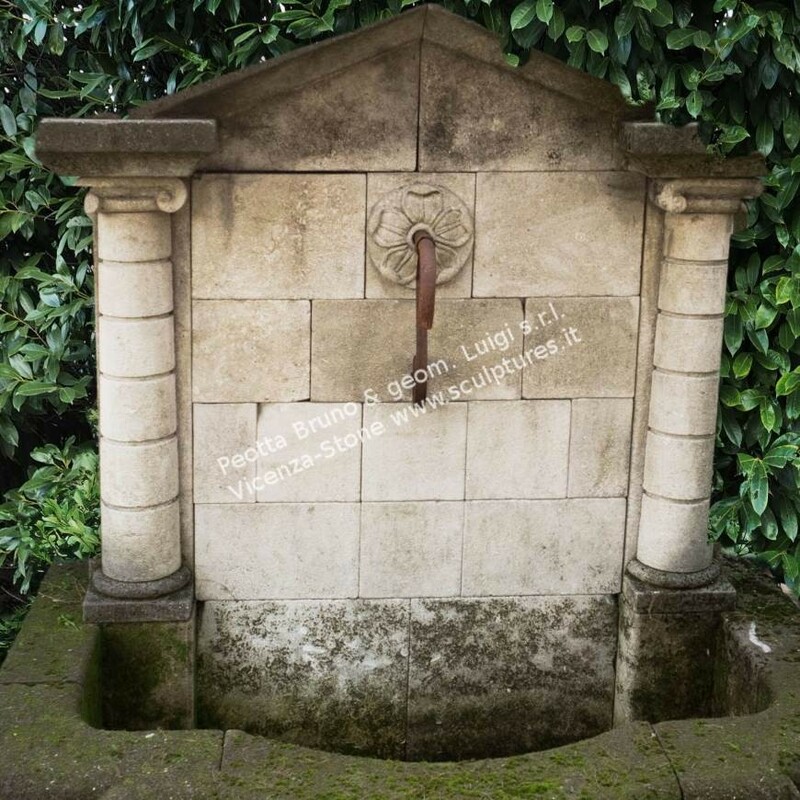 Two columns in the Florentine style sides and a central rosette with old faucet. 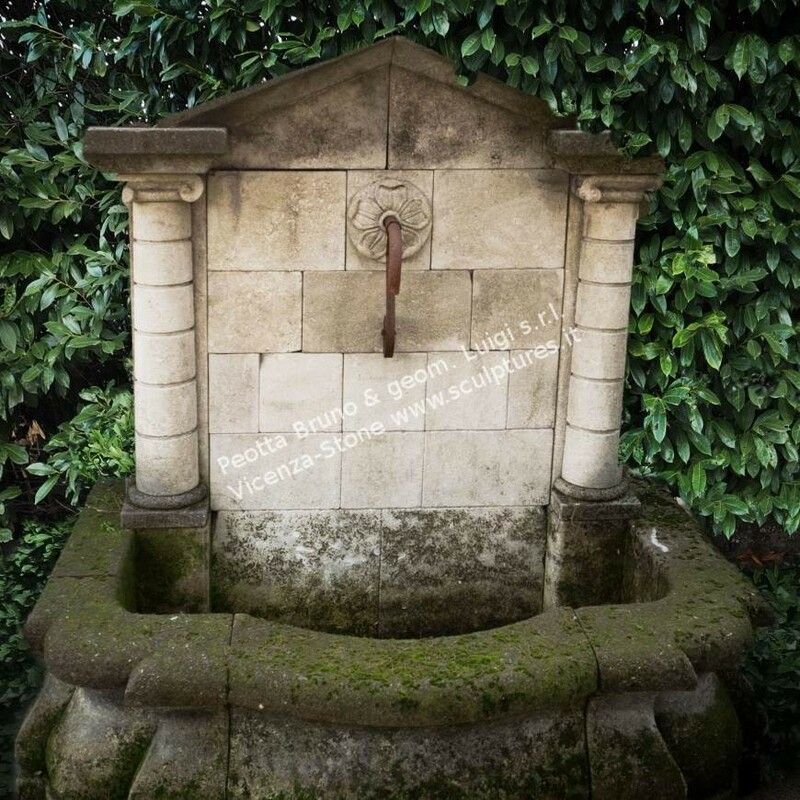 The top composed by a pediment reminiscent of the old Italian fountains of Florence. Ancient style and natural patina of years.